The gene for the non-coding RNA molecule TERRA is found in telomeres and it was suspected to play a role in telomere integrity. To figure out what TERRA might be doing to preserve telomeres, Dr. Chartrand’s collaborators, lead author Emilio Cusanelli and Carmina Angelica Perez Romero, attached a fluorescent probe molecule to TERRA so that they could track what TERRA was doing in the cell under a microscope. They discovered that the production of TERRA is turned on when the telomere that its gene sits on gets shorter. They then found that TERRA molecules accumulated in a single spot and at the same time recruited telomerase molecules, which are subsequently directed to the short telomere from which TERRA originated. This discovery reveals a whole other layer of regulation of telomerase activity, and a novel role for a non-coding RNA in the maintenance of the genome. 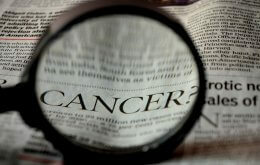 TERRA could be a new target as well for anti-cancer therapeutic discovery. The University of Montreal is known officially as Université de Montréal. The research involved in the study “Telomeric Noncoding RNA TERRA Is Induced by Telomere Shortening to Nucleate Telomerase Molecules at Short Telomeres” was financed by Canadian Institutes of Health Research (CIHR) grant MOP-89768.